There was a little handmade shop in my town run by a very talented lady. She has a bakery and a handmade baby stuff shop. The shop though small is very beautifully decorated. She made baby dresses, mostly for newborn to about 2-3 years old baby. I often visited the shop but never met her. And in one evening when I dropped by to pick up some pastries, I went inside her little shop and met her. We talked and I showed her the pictures of what I've been doing. Well, long story short, she liked my handmade stuff and ordered few stuff for her daughter who's expecting a baby. Her daughter likes elephants and I happen to have this pretty elephant fabrics which will be perfect for her. I mixed and matched it with stripes and dots. She wanted a summer quilt. We discuss all the possibilities and we decided to put a layer of solid cotton as a batting, instead of the usual batting and use mulmul cotton at the back. 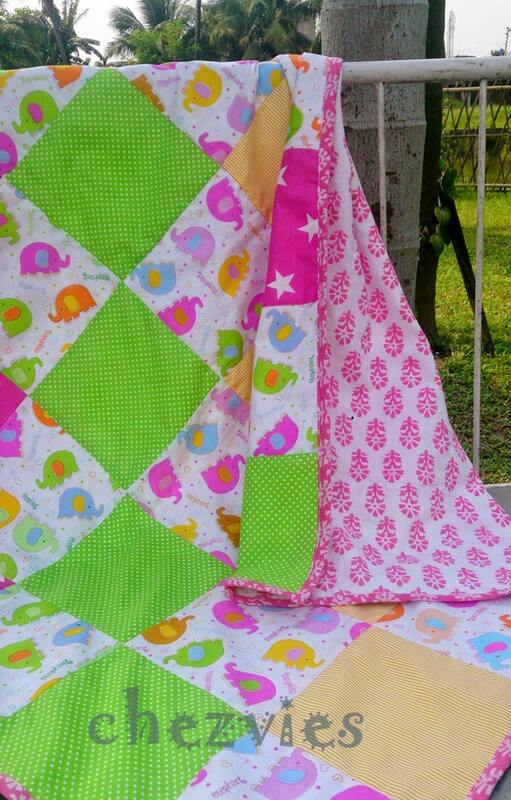 this quilt is perfect for spring or summer. 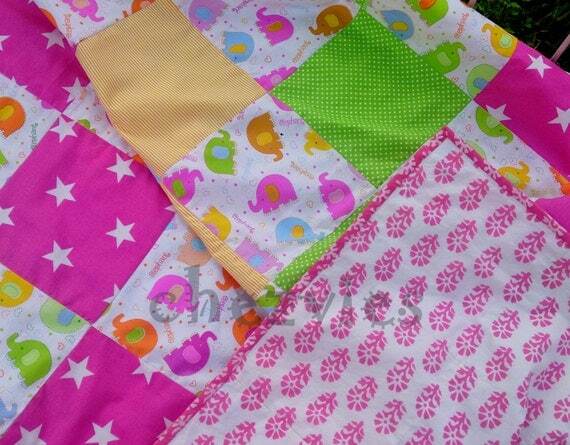 I quilted in the ditch around the squares.